You’re in a position where you’ve achieved most of your goals. Your performance is regularly praised, but you feel like you’re stagnating. The job you once loved is no longer fulfilling – it’s missing a certain something that a radically new position seems to offer. Does this story sound familiar? It’s the plot of The Nightmare Before Christmas. 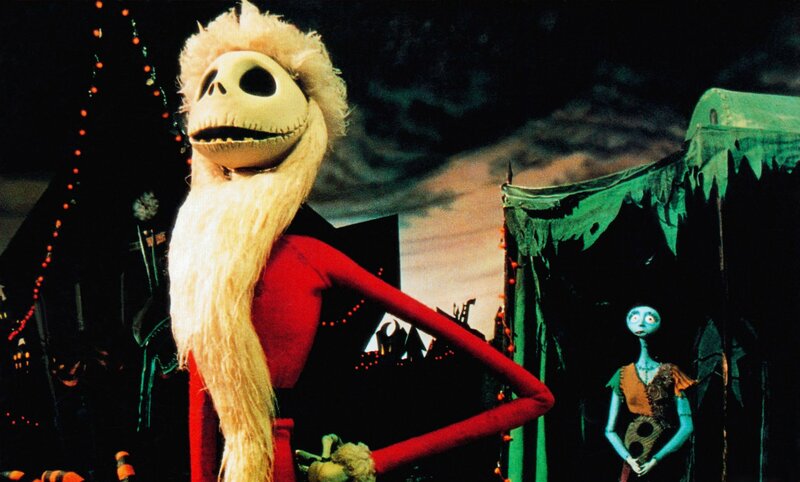 The toast of Halloween Town, Jack Skellington staged one of cinema’s most notoriously bold career changes gone awry. Despite genuine enthusiasm and community support, his attempt to assume the role of Santa ends with him getting shot down by the military. Ouch. So how can you avoid duplicating these mistakes as you contemplate your own career transition? When our skeletal friend enters Christmas Town, he’s dazzled by how different it is from his current station; you’ve likely visited a friend’s workplace and been similarly impressed at some point. In this situation it’s important not to confuse disillusionment with your current job from your desire for the new one. Consider that you may just be in the wrong place – Halloween Town felt drab and familiar, but it didn’t mean that the Pumpkin King disliked his duties there. Conduct an inventory of your responsibilities and determine if you truly dislike the work or just the context in which you’re doing it. Putting your skills to work in a new environment may inject the freshness that you were seeking. Sometimes it’s as simple as a change of scenery. What’s this? What’s this? Do Your Research. Mere minutes after learning Christmas exists, Jack is already having a Santa outfit sewn and planning to assume the role; less thought is given to how well it would fit him (the job, not the Santa suit). It’s imperative that you conduct thorough research before the change. Many sites offer detailed information about employment fields and tools to determine your compatibility with various job functions, since initial impressions can often be misleading. Networking with individuals in the new industry is another crucial step, as they can provide valuable insight into what a day in the life of someone with your aspirational title is actually like. Entering with your eyes open about salary and other basic elements of the work ensure sure you can be realistic as you plan the next phase. If he’d done more comprehensive research, he might have realized this too. It also pays to consider the culture change implicit in joining a new industry. Bright Christmas Elfinwear was a big change from heads-optional Halloween Town, and workplace features like the degree of competitiveness versus collaboration, the amount of independence you’re given, and whether coworkers view their work as a calling or just a job are very relevant to your adjustment. The qualities Jack was feted for in Halloween Town – scaring grown men, singing while engulfed in flames, and dismantling himself – were not valued quite the same in his Christmas gig. You may realize that your prospective position will require a slate of new abilities as well. Oftentimes additional education may be needed, so consider taking classes part-time and racking up applicable certifications through online courses. Identifying a mentor in the field to start a conversation will help you facilitate this process for maximum effectiveness. Be sure to take some time to articulate how your past experiences will translate into the new position, as this will be helpful as you pursue opportunities in your chosen area. Part of the reason Jack literally went down in flame is that his first Christmas experience was a full-fledged holiday takeover. If he’d done a dry run, he might have learned that children don’t really love receiving sentient toys that try to eat them. Don’t get too spooked about your next career move – with a few simple guidelines, you journey will definitely be more dream than nightmare.